Dark clouds are once again hovering over the future of already strained relations between India and Pakistan, following a Pakistani military court’s handing out death sentence to Indian national Kulbhushan Jadhav on the charge of espionage and India’s sharp reaction to it. But more importantly, the international community is outraged by the court ruling which did not follow any norms of a fair trial and any law giving chance to Mr Jadhav, a former Indian Navy commander, for self-defence. Pakistan says it had captured Mr Jadhav, 46, in Balochistan on March 3, 2016 on the charge of espionage. India refuted the charge and hit back with political parties cutting across the ideological spectrum condemning the Pakistani court’s ruling and External Affairs Minister Sushma Swaraj telling parliament that New Delhi would consider execution of Mr Jadhav as a “pre-meditated murder.” India’s Foreign Secretary S. Jaishankar summoned Pakistan’s High Commissioner to India, Abdul Basit, and issued a demarche in which he said that Mr Jadhav was kidnapped last year from Iran and there had not been a credible explanation for his subsequent presence in Pakistan. The whole episode raises several serious questions about Pakistan’s status as a law-abiding and civilized country. Mr Jadhav’s trial in a military court is a mockery of the due process of law and defies all cannons of natural justice. He never got a lawyer to present his case in the military court and all that used by Pakistani military authorities was a so-called “confession” by him. India must immediately adopt a two-pronged strategy: bearing down on Pakistan to refrain from carrying out the death sentence and launching a diplomatic campaign to highlight the flawed trial process in Pakistan. The Jadhav trial has once again driven home the point that it does not always require a major terror attack in India to jeopardize India-Pakistan ties. The India-Pakistan relations, which plunged to a new low in the aftermath of the 2016 terror strikes allegedly masterminded by Pakistan-based terrorists, look set to continue in the mode of mutual recriminations and distrust in 2017, with hardly any possibility of a thaw in the near term. 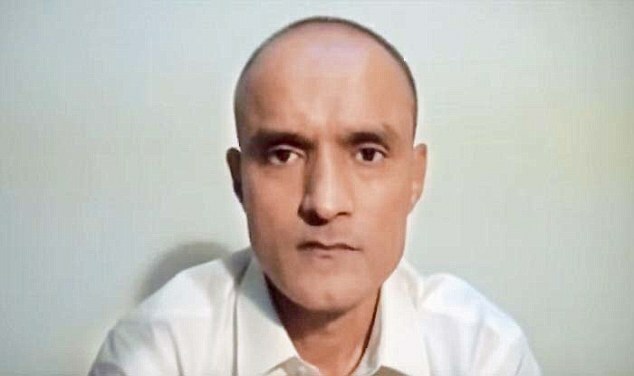 Islamabad’s latest gambit to internationalise the issue of alleged Indian spy Kulbhushan Jadhav by seeking to present a dossier before the UN on the alleged terrorist activities of Jadhav portends another bleak year for the severely challenged India-Pakistan relations. Typical of Pakistan’s posturing, double-speak and grandstanding, Islamabad appears to be in no mood to prosecute Pakistan-based terrorists involved in the Pathankot and Uri terror attacks in India in 2016. Instead, in a latest salvo, Pakistan has claimed it’s a direct victim of Indian “state-sponsored terrorism” and claimed that Jadhav’s activities were aimed at destabilising Pakistan and slaughtering Pakistani nationals. “With such duplicitous behaviour and blood on its hands, India has little credibility on counter-terrorism,” said the spokesperson of Pakistan’s Foreign Office. 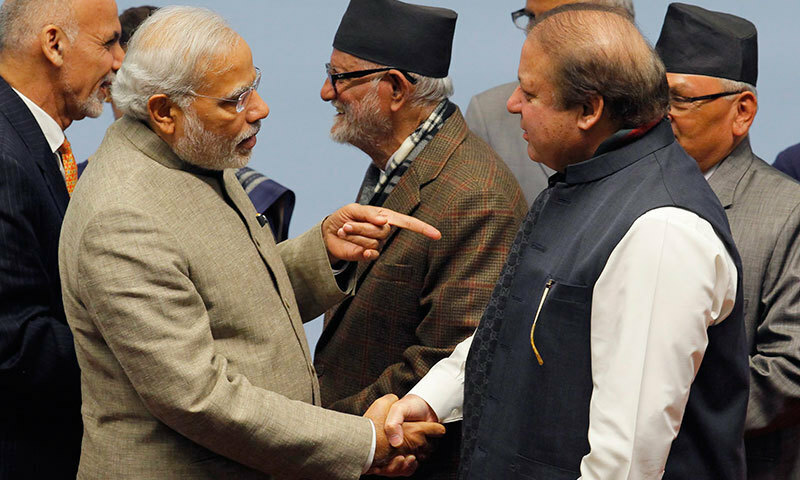 With Pakistan in denial, the Modi government is set to be more assertive on cross-border terrorism. The political dynamics involved in a series of state elections to be held this year in India will further complicate the picture as PM Modi and his colleagues in the party are set to flaunt the cross-LOC surgical strikes against Pakistani militants to mobilise nationalist sentiments against the perpetrator of terror. In such a scenario, if there is another terror attack in India in which the Pakistani involvement is established, then the India-Pakistan ties are set to go from bad to worse. It’s early days, but latest indications suggest that 2017 is going to be another grim year for the India-Pakistan relations.